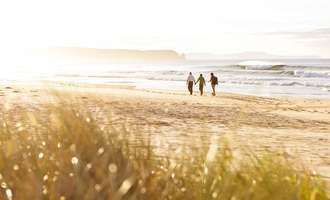 These terms and conditions form part of an agreement between the Tasmanian Walking Company and the Guests referred to in the booking form. Either phone our reservations team or email us to confirm availability. Once a tentative booking has been made we will forward a confirmation of tentative booking along with a booking form which the guest must complete within 2 weeks of the booking being made. The form can be returned by fax, post or a scanned copy via email. Bookings are not confirmed until a deposit has been received (see below) and availability on the walk requested confirmed. All pricing is in Australian dollars and quoted on a per person twin share basis. A supplementary price is available (see below). Payment may be made by direct deposit, cheque (AUD only) or credit card (we do not charge a fee for Australian Visa or Mastercard debit card, we do charge a 1% fee for Australian Visa and Mastercard "credit" cards, a 2% fee for all Foreign Visa and Mastercard "cards", and 3% fee for all American Express cards). These fees are subject to change. All accommodation is twin share. 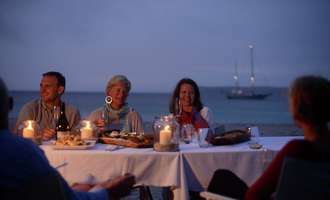 We will endeavour to ensure that single travellers will share with the same gender; however this cannot be guaranteed as it will be determined by the makeup of the group. 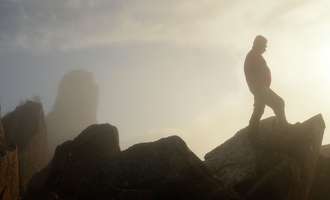 Mixed gender sharing is deemed acceptable on the Cradle Mountain Huts Walk but not at the Bay of Fires Lodge or the Wineglass Bay Sail Walk. If a single room is demanded, a supplementary price of 75% of full fee will apply. This needs to be stipulated at the time of booking. Prices are quoted on a seasonal basis - winter, shoulder and peak. Please refer to your rates for current prices. 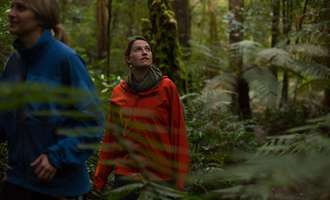 Pricing includes pick up and return from the designated collection and return point; transport to the start of the relevant walk experience; twin share accommodation during walk; all food; national park passes; Overland Track fee (Cradle only); ferry transfers across Lake St Clair (Cradle only); use of back pack and Gore-tex jacket (if required) for duration of walk; and two qualified guides (and skipper for the Wineglass Bay Sail Walk) for the duration of the walk. We offer a complimentary wine allocation per night (additional alcohol is available from Bay of Fires Lodge at extra cost). No price reduction is available for guests who choose not to avail themselves of a glass of wine. If the cancellation is made more than 60 days from departure, a fee of $200 per person will be charged. For cancellations made between 60 and 21 days prior to departure, a fee of $350 per person will be charged. For cancellations within 21 days of departure, no refund is available. 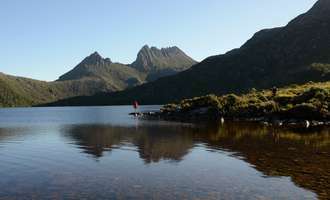 The date of cancellation is the date that the Tasmanian Walking Company receives written notice of the cancellation. All of our walks take place in very special wilderness settings. We are at the mercy of nature in all her beauty and all her fury. We will under no circumstance knowingly place at risk the health and well-being of our guests and guides. In the case of natural threats, acts of God and the like (e.g. bushfires, impassable snow, unsafe sea condtions etc) we may need to cancel a walk with very little notice. In some cases, this can occur after the walk has commenced. If we need to cancel for any reason, we will fully refund the cost of the walk or provide a replacement walk at a later date convenient to both parties. Any other costs associated with travel to the designated pick up point, overnight accommodation, meals, etc will not be covered by us and therefore we strongly recommend travel insurance be taken out prior to travel. 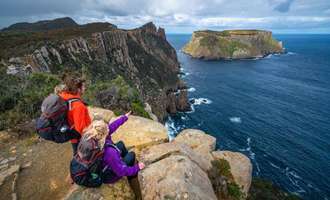 The Tasmanian Walking Company reserves the right to cancel any walk up to 60 days prior to departure in which event a full refund will be made but all walks are guaranteed to depart once a minimum of 4 walkers are confirmed. No walk will be cancelled inside 60 days and every effort will be made to consolidate numbers so that the booked walk will successfully depart. All walks with a minimum of 2 international guests are guaranteed to depart. In rare circumstances, due to injury or unforeseen illness, we may need to evacuate you from a remote part of the walk. In Cradle’s case, evacuation is on foot (where the walker is physically capable) or by helicopter. Helicopter evacuations are expensive and in most cases will be at a cost to the customer. On the Cradle Mountain Huts Walk guests are required to wear lace up walking boots which have ankle support and firm treaded soles. 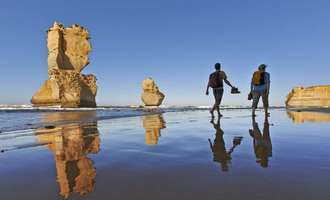 On the Bay of Fires Lodge Walk and the Wineglass Bay Sail Walk guests are required to wear supportive walking shoes with firm treaded soles. New boots must be worn in. Waterproof or water resistant boots are recommended. Walking shoes are not acceptable on the Cradle Mountain Huts Walk and sand shoes and similar footwear are not acceptable on any of our walks. Arriving on the day of departure for either walk with inappropriate footwear will result in forfeiting your walk without refund. 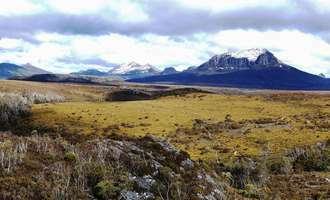 Cradle Mountain Huts walkers will be required to walk an average of 10km per day for 6 days over varied terrain, with the longest day being 12km not including optional side trips. 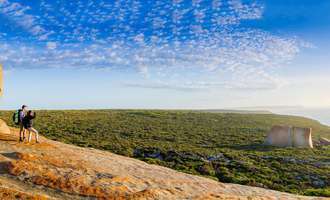 Bay of Fires Lodge walkers will walk 14km on the longest day of the walk along beaches, some rocky headlands and bush trails. 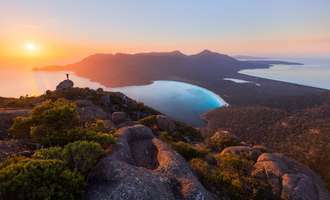 Wineglass Bay Sail Walkers will walk between 6 - 7 hours on the longest day. 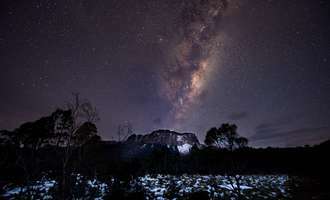 Cradle Huts and the Overland Track are located wholly within a World Heritage Area and National Park. 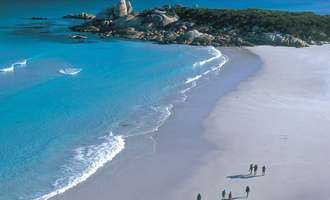 The Bay of Fires Lodge Walk is largely operated within a National Park. 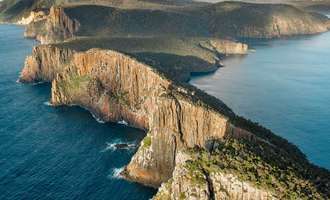 Wineglass Bay Sail Walk is largely operated within National Parks and marine reserves. Therefore, environmental responsibilities are taken very seriously. Prior to departure, you will be briefed about such responsibilities however, prior knowledge and awareness is extremely helpful. 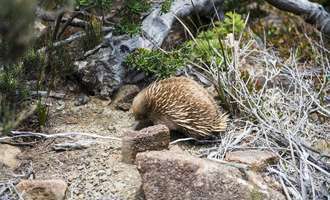 A good reference on such matters is the Tasmanian Parks and Wildlife Service web site www.parks.tas.gov.au. 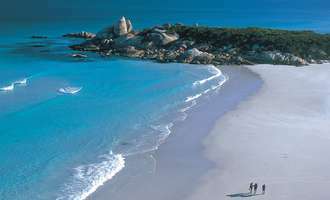 “Bay of Fires” means Bay of Fires Walk Pty Ltd ACN 088 617 672. “Cradle Huts” means Cradle Huts Pty Ltd ACN 009 566 045. 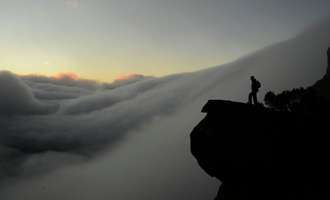 “Company” refers to the Tasmanian Walking Company. 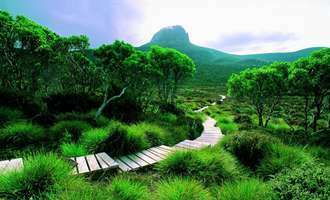 “Walk” means any guided walk operated by The Tasmanian Walking company.